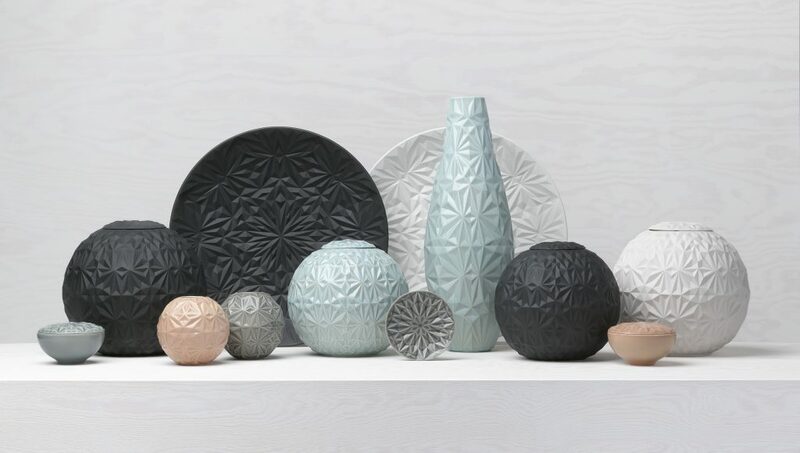 My Dusty Diamonds collection evolved in close collaboration with Porslinsfabriken in Lidköping, a factory once used by the fine porcelain manufacturers Rörstrand. The process grew into an exciting encounter between new techniques and time-honoured tradition, a dialogue between the designer and the ceramists. Together, we carefully selected the ultimate techniques, materials, glazes, and colours to find the ideal expression for the lines of the design, its composition and faceting. Being granted the opportunity to work alongside some of Sweden’s most skilled craftsmen made realizing these pieces possible and the process had the extra benefit of passing on traditions and know-how.